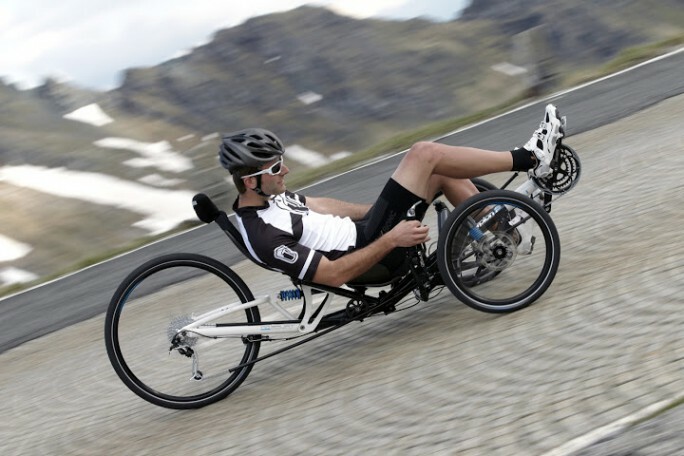 Good to know you can lean back and relax, even on bad roads. With the new, foldable touring-trike Scorpion FS HP Velotechnik engineers combined a full suspension chassis technique derived from modern automotive technology with the award-winning design of the Scorpion trikes. Long wheelbase, straight lines, easy rolling 20″ wheels and integrated independent suspension – the dynamic appearance of the Scorpion FS leaves a long lasting impression. 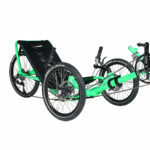 BRC: Fully suspended trike with all 20″ or 20/26″ configurations. 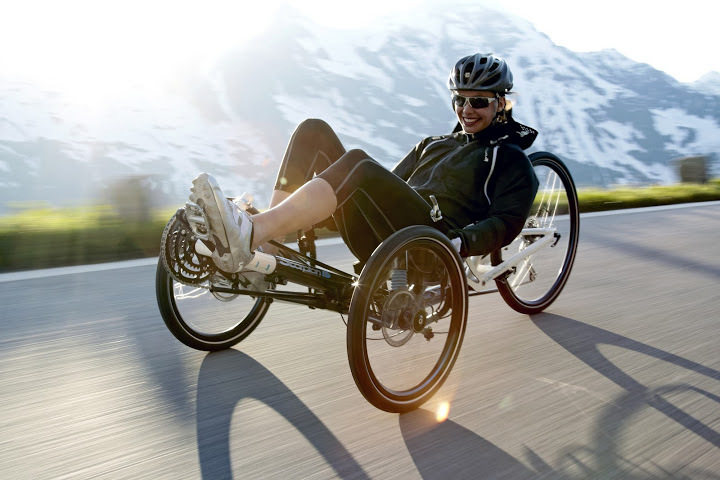 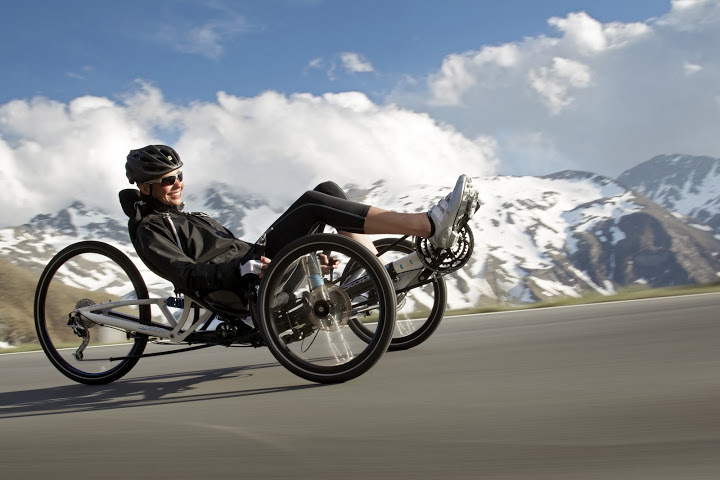 The Scorpion FS 26 was voted Recumbent of the Year for 2014! 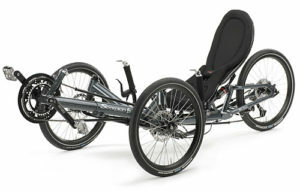 HPV: Compared to the smaller 20-inch wheels conventionally found on recumbent trikes, the larger wheel on the suspended rear of the new Scorpion FS 26 model provides an even smoother ride, less rolling resistance, and easier obstacle traversing. 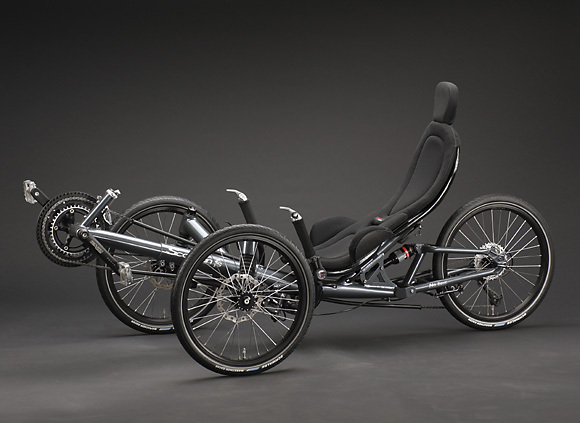 The combination of full suspension with tried-and-tested chassis technology from the automotive engineering sector and the positive running properties of larger wheels sets new standards in riding dynamics. 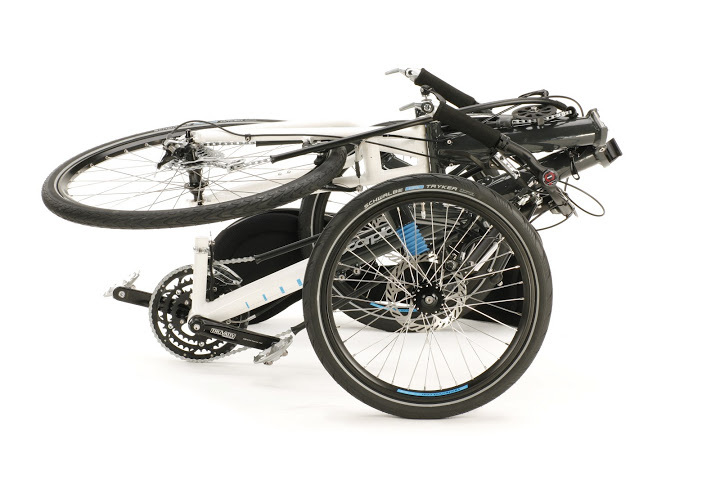 Thanks to HP Velotechnik’s sophisticated self-locking folding hinge, the vehicle can be quickly folded into an easy-to-transport package with dimensions of just 123 x 83 x 69 cm. The new Advanced Steering Geometry (ASG) enables riders to control the Scorpion FS 26 smoothly and precisely, giving it a small turning circle of just 5.5 meters (18 feet) despite its long wheelbase. From November 2012, all HP Velotechnik trike models will come with ASG as standard. 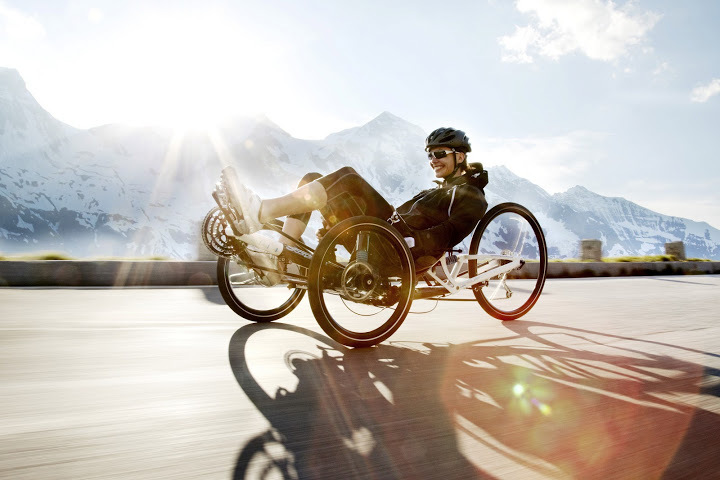 In addition to the ergonomically-shaped ‘BodyLink’ hard shell seat, HP Velotechnik also offers the option of the further improved ‘ErgoMesh’ seat. 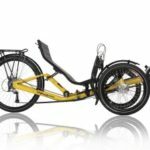 This not only provides optimum ventilation for the back but also offers more side support thanks to the enhanced seat design with strengthened, anatomically-shaped side cushioning. 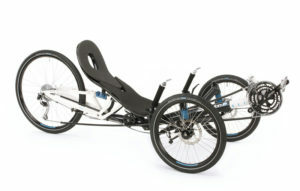 For larger riders, the seat is will be available in a 5 cm (2 inch) wider ‘ErgoMesh XL’ version with a 3 cm (1 1/8 inch) longer back rest and seat pan.